This is a nice oriental smell with notes of floral and spice..very pleased! 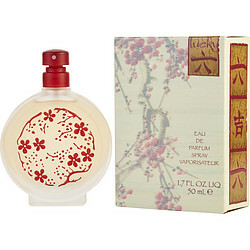 Bought this on sale because I liked the Asian style bottle and the scent. OMG. I got sooooooooooo many compliments on this scent! Always!! I still don't consider it a fave, but it is a guarantee that the men love it lol...no idea why...? smells clean though. You can't lose. I purchased a tester of this perfume going by the reviews. Unfortunately I found it too subtle and the smell doesn't last even 1 hour after spraying. I tried it spraying on clothing, on the skin directly etc. but nothing worked. I will not be buying this again. There's nothing too extraordinary about Lucky Number 6, but it's a nice calm sweet scent. It's subtle and smells nice, very flowery. Also the bottle is gorgeous. It's great when you need something simple.